Also Known As: Desiccated CoconutDescription: Coconut powder is dried, crisp and snow white in..
Keya Nutmeg PowderA spice with a delicate sweet fragrance, nutmeg is a versatile aromatic spice ..
Hemp seeds carry tons of nutritional benefits and can be used in numerous amounts of recipes. A 1.5-tablespoon serving of hemp seeds contains five grams of protein, 86 milligrams of magnesium, 10 percent daily value of iron, 1245 milligrams of Omega-3 fatty acids and 436 milligrams of Omega-6 fatty acids! One of the Omega-6 acids, gamma linolenic acid (or GLA), is an excellent source of anti-inflammatory hormones that support a healthy metabolism and good skin, hair and nails. Like flaxseeds, hemp seeds contain all ten of the essential amino acids. It's protein source is much more digestible than others, and won't leave you feeling bloated. Hemp seeds contain anti-aging antioxidants such as vitamin E.
They're also rich in other minerals such as zinc and phosphorus. 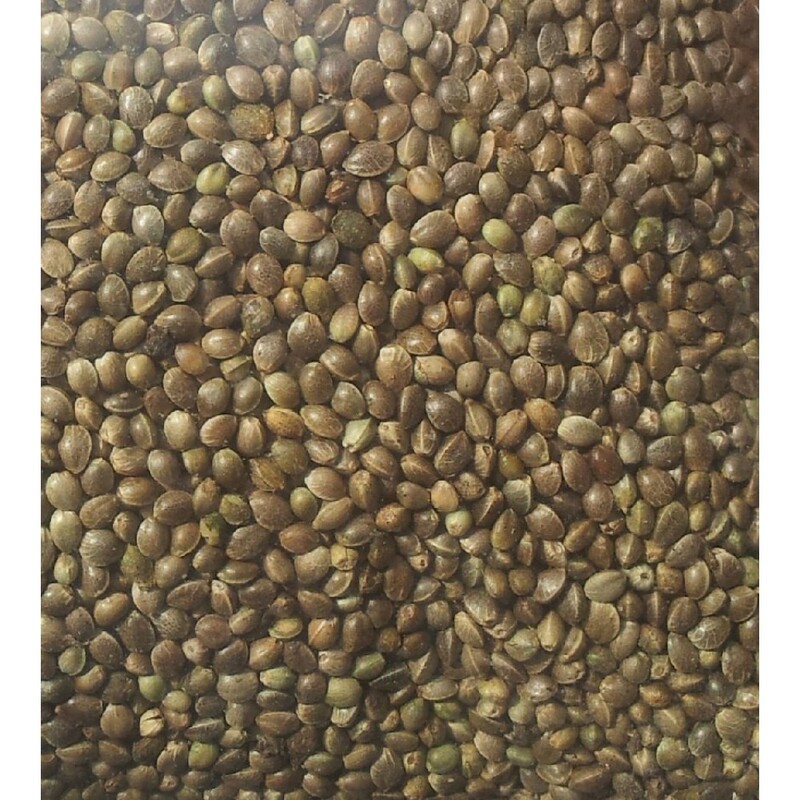 Hemp seeds are being used in many packaged products, usually found in health food stores. Some of these products, such as hemp milk and ground hemp flour, are relatively simple to make at home from the seeds. Try sprinkling hemp seeds over a salad, as a topping on granola, puddings or other desserts. Frequently sold as a superfood, hemp seeds can be added to smoothies both at home and in many cafes and juice bars. Hemp seeds can also be used in baking and cooking though the nutritional content is at its highest in its raw state. Hemp seeds are an ideal superfood for a raw food or vegan diet due to their protein and essential fatty acid content. This quick and easy recipe for a raw food hemp milk made from hemp seeds can be used over raw granola, a bowl of fruit, in smoothies and shakes, or enjoyed on its own. You can omit the vanilla and sweetener if you prefer an even more nutritious beverage, but the strong flavor of the seeds can be a bit overpowering for some. Blend all of the ingredients together on high speed for 20 seconds. Optionally, you can strain the liquid through a cheesecloth to remove the seed particles. Serve your hemp milk immediately or refrigerate in an airtight container for up to 3 days. Thanks for your service, I have received and seems to be good.